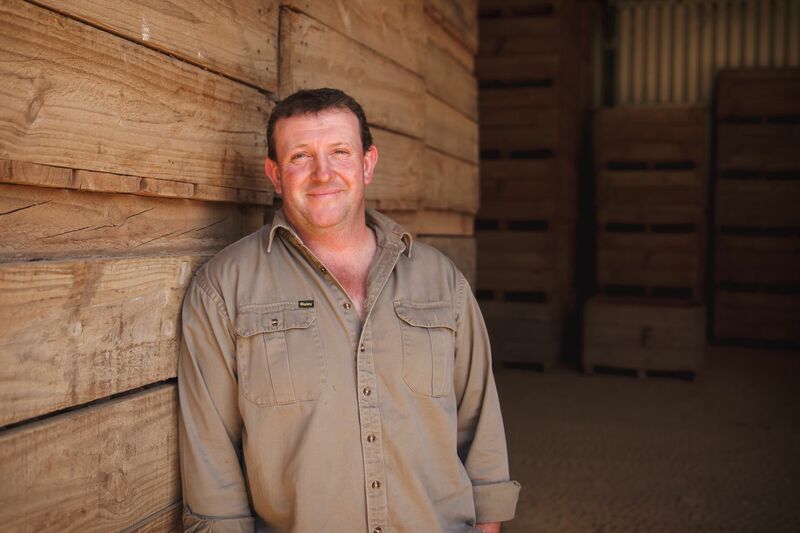 Troy Bensley – or Fred as he is better known – runs Stillbrook Potato and Pastoral Company, a certified seed growing operation in Crookwell, New South Wales. Fred spoke to AUSVEG about his role in the business, its venture into exporting spuds to Fiji and the challenges he faces alongside the wider potato industry. “I remember the days when Dad used to be ploughing and I’d have my own little toy tractor, dragging the bucket around behind me,” Fred says. “I remember the days when Dad used to be ploughing and I’d have my own little toy tractor, dragging the bucket around behind me. It was like playing around in the dirt but I just didn’t realise where it’d all end up one day." Fred nominates water security as the biggest challenge that his growing operation faces. “We’re not located on a river system or anything like that. At the end of the day, we can only rely on what falls into our own catchments and dams,” he says. Pests and diseases are another threat facing all potato growers in the region. 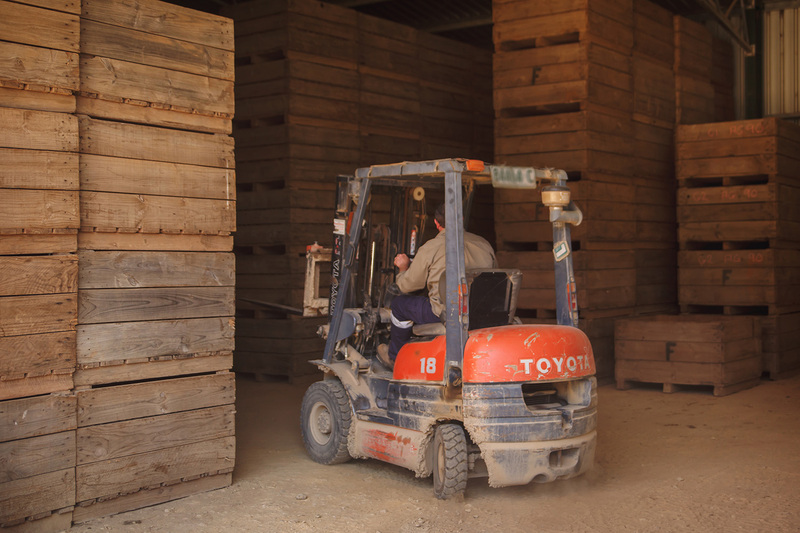 “In Crookwell, we’ve got our own Quality Assurance (QA) system. We abide by our own rules that we’ve come up with and also the standard rules that are nation-wide,” he says. Fred also works closely with an agronomist, Tally Matthews, who assists with soil testing and monitoring pH levels, the supply of crop protection products and what fungicides to use as well as communicating the latest products. Fred says the most enjoyable aspect of his job is meeting others within the potato industry. “It’s nice to see how other people grow potatoes and it’s good to pick up different ideas and ways that make it become easier,” he says. 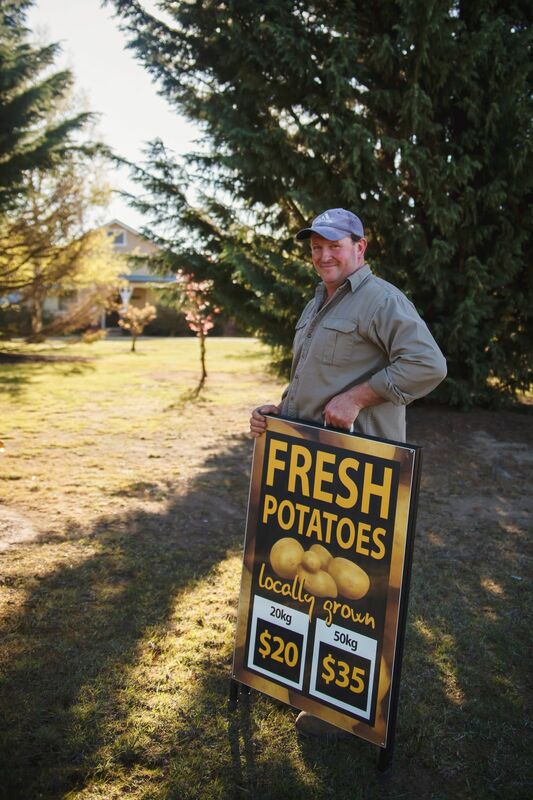 There are four other potato growers in Crookwell, and Fred says they talk among themselves to generate ideas and help each other out as much as possible. 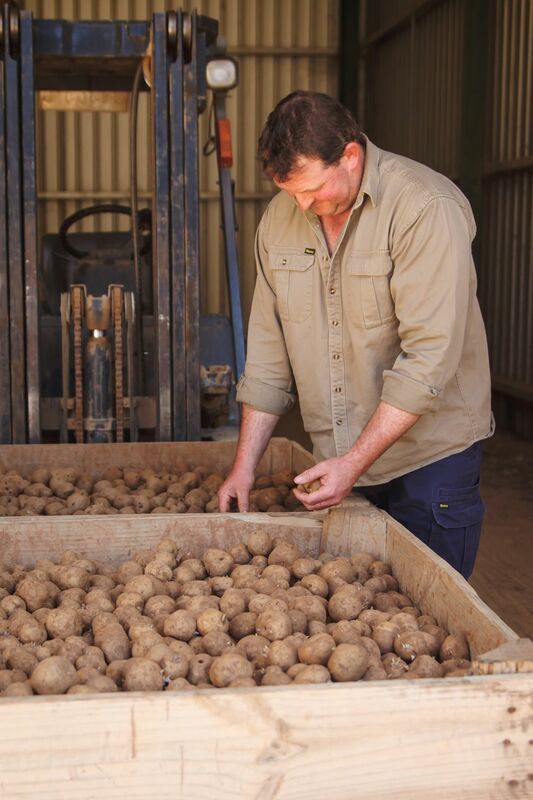 There used to be countless numbers of both certified seed and commercial potato growers in Crookwell, and the decline reflects another challenge of encouraging young people to take up jobs within the industry. It is a question that Fred has been asked many times. “I was born into the potato industry which makes it easier. I’ve got children too and whether they’ll ever be interested, I don’t know. I think the biggest problem is that it’s just so expensive to get into if you were never brought up in it,” Fred says. While Stillbrook Potato and Pastoral Company continues to be a success thanks to a lot of hard work from Fred and his family, the long-term future of the business remains unclear. “At the moment, it’s fine with mum and dad helping but they’re heading towards 70 now so they’re getting older,” Fred says. The business’ future depends on whether Fred can employ reliable workers who could assist him in doubling the amount of certified seed potatoes currently grown. “The demand outstrips supply at the moment. People seem to be looking for seed everywhere – we could quite easily grow twice as much but it comes back to the man hours and reliable staff. At the end of the day, if somebody doesn’t know what they’re doing, it probably costs you more than it’s worth,” Fred says. 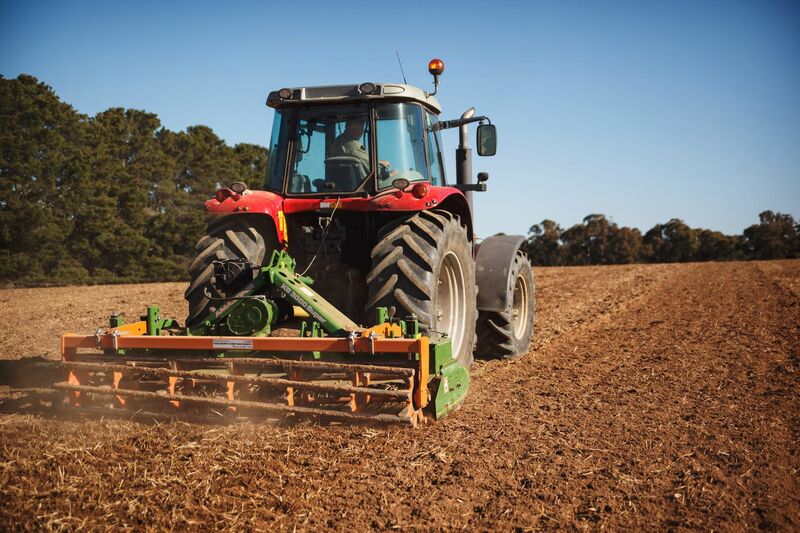 This grower profile first appeared in the leading magazine for the Australian potato industry, Potatoes Australia, and was featured in the AUSVEG Weekly Update published 12 February 2019. If you’d like to subscribe to receive a new edition of Potatoes Australia in your mailbox every two months, use our online subscription form!